Fitted with infeed level controls, vibrating infeed plates and up to 14 weighing buckets as required. WYMA Engineering has released the Affeldt AVN 112 computerised weighing machine. It has been designed to weigh fruit and vegetables for packaging and is also suitable for other solid products. It can produce an output of between 0.5kg to 25kg at speeds of up to 80 dumps a minute. Special configurations are available to handle delicate products such as tomatoes, and difficult products such as carrots and beans. 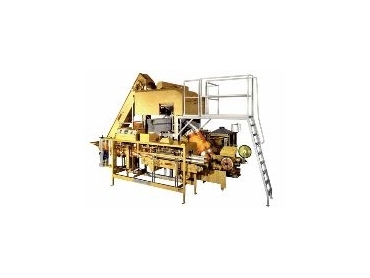 The machine is fitted with infeed level controls, vibrating infeed plates and up to 14 weighing buckets as required. A clear text display microprocessor control is also supplied. The machine can also be used for count packaging. The AVN 112 can be combined with other Affeldt bagging, clipping, labeling and sewing machines, as well as automatic carton and crate fillers. It can also be fitted with a modem for on-line service monitoring.